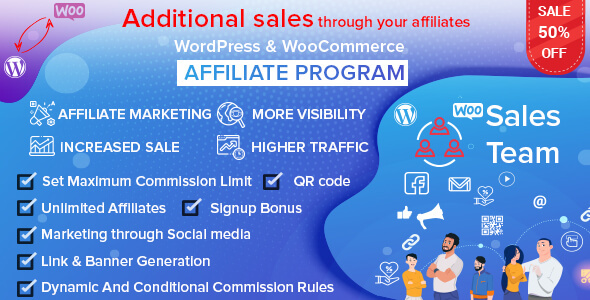 WordPress & WooCommerce AFFILIATE PROGRAM helps you to market your products through your affiliate team and through which you can generate more income from your Ecommerce site by having more visibilty and higher traffic. To achieve that you just have to install our plugin and sit back and relax with your friends/family. We got everything covered for you with dozens of features available. Dynamic & Conditional Commission Rules – Commission on products can be set in 3 different levels. 3rd and last Priority – All Products. Different Commission Types – 3 different types of commission can be set to a specific product/ a category/ all products. 3. Fixed + Percentage Commission.